Iran has firmly rejected fresh US and British allegations of Tehran sending missiles to Yemen, saying the two are seeking to whitewash their “shameful” complicity in the crisis gripping the war-torn country by leveling “false” charges against others. 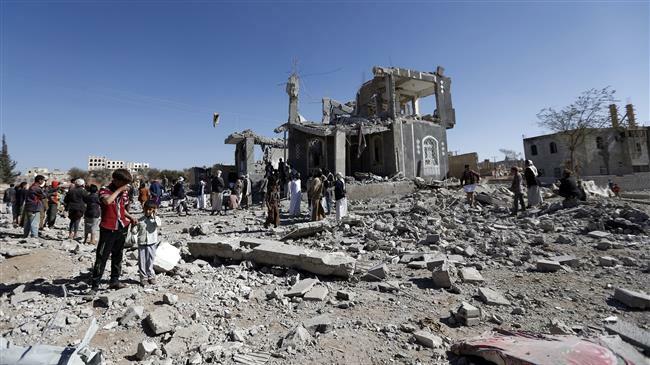 “The US and UK complicity in Yemen crisis is shameful,” Iran’s Permanent Mission to the United Nations said in a press release on Tuesday. The Iranian mission was reacting to remarks by the American and British ambassadors to the UN, Nikki Haley and Karen Pierce during a Security Council meeting on Yemen earlier in the day. “The fact is that the war of aggression of Saudi Arabia in Yemen is the main underlying reason for the escalation of the crisis. It is regrettable that Saudi Arabia and its warmonger supporters, as the main party responsible for such a catastrophic humanitarian situation, are trying to cover up their shameful crimes by introducing false charges against others or trying to spread the crisis beyond Yemen’s borders,” it added. “The US and UK are enjoying a blood business in Yemen now” by providing bombs to the Saudi warplanes that are targeting Yemeni civilians, the Iranian mission added. Saudi Arabia and its allies launched the war in March 2015 in support of Yemen’s former Riyadh-friendly government and against the Houthi Ansarullah movement, which is currently running state affairs.